Helen Hodgson (B.Bus; PGrad Dip Business (Bus Law), MTax, PhD) is a Professor in Taxation in the Curtin Law School at Curtin Business School. Her areas of research include tax policy, the tax-transfer system, superannuation and the taxation of small business entities, and is particularly interested in the gender impacts of the system. Her PhD was a comparison of the Family Tax Transfer systems in Australia and the UK. She attended the Australia's Future Tax System Forum in 2010. 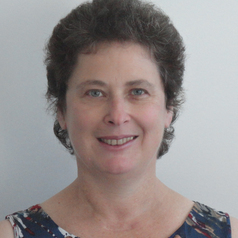 Helen has been at UNSW since 2004, and at ECU and Curtin University in Western Australia between 1989 and 2004. From 1997 to 2001 Helen was a Member of the Legislative Council in WA, representing the Australian Democrats in the North Metropolitan Region. She is a Fellow of CPA Australia, a Chartered Tax Advisor and a member of SPAA.